Our message this morning will come from Genesis 15.1-21. AND THE TITLE OF OUR MESSAGE IS, PASSOVER AND ITS HISTORY. Genesis Chapter 15 goes back in history about 4,000 years and has some staggering history written in it that gives us some insight as to why The LORD GOD gave The Jewish People Passover. LET’S START WITH GENESIS 15.1 ABRAHAM’S ORIGINAL NAME WAS ABRAM, AND HIS NAME REMAINED ABRAM FOR 99 YEARS BEFORE GOD CHANGED HIS NAME TO ABRAHAM. AFTER THE LORD TOOK ABRAHAM OUT OF THE GENTILES WHEN HE WAS 75 YEARS OLD TO BE THE FATHER OF THE JEWISH PEOPLE, AND THE FATHER OF MANY NATIONS, GOD SAID TO ABRAHAM IN A VISION, FEAR NOT ABRAM, I AM YOUR SHIELD AND YOUR EXCEEDING GREAT REWARD. WHICH TELLS ME THAT WHETHER YOU ARE JEWISH OR NOT AND YOU ARE LIKE ABRAHAM WHO BELIEVES IN THE LORD GOD, AND YOU OBEY EVERY WORD GOD SPEAKS AS ABRAHAM DID, GOD IS YOUR SHIELD AND YOUR EXCEEDING GREAT REWARD. AND CONTINUING WITH THIS STAGGERING EVENT IN HISTORY, GOD TOLD ABRAHAM IN THAT VISION THAT HE WOULD GIVE ABRAHAM “THIS LAND.” “THIS LAND” WAS CANAAN WHERE ABRAHAM AND SARAH WERE LIVING AT THE TIME. SO ABRAHAM ASKED GOD, HOW WILL I KNOW THAT I WILL INHERIT THIS LAND? AND GOD TOLD ABRAHAM, GET ME A THREE YEAR OLD HEIFER, AND A THREE YEAR OLD FEMALE GOAT, AND A THREE YEAR OLD RAM, AND A TURTLEDOVE AND A PIGEON. AND ABRAHAM DID AS GOD SAID. AND HE CUT THEM IN TWO, AND HE LAID EACH PIECE OPPOSITE THE OTHER, BUT HE DID NOT CUT THE BIRDS IN TWO. AND WHEN BIRDS OF PREY CAME DOWN UPON THE CARCASSES ABRAHAM DROVE THEM AWAY. AND WHEN THE SUN WAS GOING DOWN, A DEEP SLEEP FELL UPON ABRAHAM, AND A HORROR OF GREAT DARKNESS FELL UPON HIM. AND THESE ARE THE WORDS GOD SPOKE TO ABRAHAM THAT LEAD UP TO THE FIRST PASSOVER SOME 721 YEARS LATER. KNOW WITH CERTAINTY, GOD SAID, THAT YOUR DESCENDANTS WILL BE STRANGERS IN A LAND THAT IS NOT THEIRS. THAT LAND, OF COURSE, WAS EGYPT. AND THEY SHALL SERVE THEM, AND THEY SHALL AFFLICT THEM FOUR HUNDRED YEARS. AND ALSO, GOD SAID, THAT NATION WHOM THEY SHALL SERVE, I WILL JUDGE. AND AFTERWARD THEY WILL COME OUT WITH GREAT WEALTH. AND YOU SHALL GO TO YOUR FATHERS IN PEACE. AND YOU SHALL BE BURIED IN A GOOD OLD AGE. BUT IN THE FOURTH GENERATION, THAT IS TO SAY, AFTER FOUR HUNDRED YEARS OF EGYPTIAN SLAVERY, THEY SHALL COME HERE AGAIN, TO CANAAN. FOR THE INIQUITY OF THE AMORITES IS NOT YET FULL. THAT IS, THE SIN OF THE CANAANITE NATIONS WAS NOT COMPLETE AND BROUGHT TO AN END. AMORITES IS A TERM FOR ALL THE CANAANITE NATIONS. AND WHEN THE SUN WENT DOWN, AND IT WAS DARK, AND BEHOLD, A SMOKING FURNACE, AND A FLAMING TORCH OF FIRE PASSED BETWEEN THE ANIMAL PIECES. THAT WAS GOD PASSING BETWEEN THE PIECES CONFIRMING THAT WHAT HE SAID TO ABRAHAM WILL SURELY HAPPEN. AND IT DID HAPPEN. EVERYTHING GOD SAYS WILL HAPPEN, HAPPENS. AND IN THE SAME DAY THE LORD MADE A COVENANT WITH ABRAHAM. THAT IS TO SAY, GOD PROMISED ABRAHAM, SAYING, UNTO YOUR DESCENDANTS HAVE I GIVEN THIS LAND FROM THE RIVER OF EGYPT TO THE GREAT RIVER, THE RIVER EUPHRATES, THE KENITE, AND THE KENIZZITE, AND THE KADMONITE, AND THE HITTITE, AND THE PERIZZITE, AND THE REPHAIM, AND THE AMORITE, AND THE CANAANITE, AND THE GIRGASHITE, AND THE JEBUSITE. NOW IN TIME ABRAHAM AND SARAH HAD A SON, THEIR ONLY SON ISAAC. AND ISAAC AND REBEKAH HAD TWINS, ESAU AND JACOB. AND ONE OF JACOB’S AND HIS WIFE RACHEL’S SONS WAS JOSEPH. YOU ALL KNOW THE STORY OF JOSEPH AND HIS BROTHERS. JOSEPH’S BROTHERS HATED HIM AND WANTED TO KILL HIM BECAUSE THEY THOUGHT THEIR FATHER JACOB FAVORED HIM ABOVE THEM. SO JOSEPH’S BROTHERS TOSSED HIM INTO A DITCH WITHOUT WATER, AND WHILE THEY WERE DECIDING WHAT TO DO WITH HIM, A GROUP OF MIDIANITE MERCHANTMEN CAME BY THE DITCH WITH JOSEPH IN IT AND PULLED HIM OUT AND SOLD HIM TO A GROUP OF ISHMEELITES FOR TWENTY PIECES OF SILVER. AND THEY BROUGHT JOSEPH INTO EGYPT AND SOLD HIM. GOD’S PROPHESY TO ABRAHAM IS BEGINNING TO BE FULFILLED. JOSEPH IS SOLD TO AN EGYPTIAN ARMY OFFICER. THE OFFICER’S WIFE FAILS TO GET JOSEPH IN BED SO THE WIFE HAS JOSEPH TOSSED INTO PRISON. JOSEPH ENDS UP RUNNING THE PRISON, AND IN TIME INTERPRETS TWO DREAMS OF TWO EGYPTIAN PRISONERS. THE DREAMS ARE INTERPRETED CORRECTLY. ONE EGYPTIAN IS HANGED. THE OTHER EGYPTIAN IS RETURNED TO HIS JOB WITH PHARAOH. NOW PHARAOH HAD TWO DREAMS BUT NO ONE COULD INTERPRET THEM. BUT THE EGYPTIAN WHO WAS RESTORED TO HIS JOB WITH PHARAOH TOLD THE KING ABOUT JOSEPH INTERPRETING HIS DREAM AND THE OTHER WHOM PHARAOH HUNG. PHARAOH QUICKLY SUMMONED JOSEPH FROM PRISON TO INTERPRET HIS DREAMS, AND JOSEPH TOLD PHARAOH THAT IT IS GOD WHO INTERPRETS DREAMS. THE DREAMS PHARAOH HAD WERE ABOUT SEVEN YEARS OF GREAT AND PLENTY IN EGYPT AND JUST ABOUT ALL THE WORLD INCLUDING CANAAN WHERE THE FAMILY OF JOSEPH WAS. AND THEN SEVEN YEARS OF HARD FAMINE IN EGYPT AND ALL THE COUNTRIES INCLUDING CANAAN. SO PHARAOH NAMED JOSEPH THE GOVERNOR OF EGYPT. AND EVERYTHING JOSEPH SAID OF PHARAOH’S DREAMS CAME TRUE. AND AFTER SEVEN YEARS OF GREAT AND PLENTY, CANAAN ALSO EXPERIENCED HARD FAMINE. SO JACOB SENT HIS BOYS, TEN OF THEM TO EGYPT TO BUY FOOD. YOU ALL KNOW THIS. AND IN EGYPT, THEY BOW DOWN TO THEIR BROTHER JOSEPH WHOM THEY DO NOT RECOGNIZE, THE GOVERNOR OF EGYPT. BUT JOSEPH KNOWS WHO THEY ARE. SO JOSEPH PROCEEDS TO DRIVE HIS BROTHERS NUTS CALLING THEM SPIES, PUTTING ONE OF HIS BROTHERS IN PRISON AND SENDING THEM BACK TO CANAAN LOADED WITH FOOD AND THE MONEY THEY BROUGHT TO BUY THE FOOD. AND TO RELEASE THEIR BROTHER FROM PRISON, JOSEPH, THE GOVERNOR OF EGYPT, INSISTS ON SEEING THEIR YOUNGEST BROTHER. NOW JACOB, FEARING HE WOULD LOSE YET ANOTHER SON BECAUSE THE GOVERNOR OF EGYPT DEMANDS TO SEE THEIR YOUNGEST BROTHER WHO WAS JOSEPH’S YOUNGER BROTHER, FINALLY AGREES TO SEND BENJAMIN TO EGYPT WITH HIS BROTHERS. SO THE BROTHERS RETURN TO EGYPT WITH BENJAMIN, AND JOSEPH BREAKS DOWN AND TELLS HIS BROTHERS WHO HE IS. KISSING, AND HUGGING, AND WEEPING, AND TEARS. AND AT JOSEPH’S INVITATION WITH PHARAOH’S APPROVAL, THE ENTIRE JEWISH FAMILY OF JACOB, SEVENTY PEOPLE, FOR JOSEPH WAS ALREADY IN EGYPT, LEAVE CANAAN AND MOVE DOWN TO EGYPT. AFTER JOSEPH AND ALL HIS BROTHERS, AND ALL THAT GENERATION DIED, THE BIBLE SAYS, THERE AROSE A NEW KING OVER EGYPT WHO DID NOT KNOW JOSEPH. AND ALL THE PHARAOHS AFTER JOSEPH PUT THE JEWS TO HARD SLAVERY THAT LASTED FOUR HUNDRED YEARS. AS GOD PROPHESIED. NOW, GOD HAD PROMISED ABRAHAM THAT HE WOULD MAKE OF HIM A GREAT NATION. AND GOD FULFILLED THAT PROPHESY IN EGYPT. 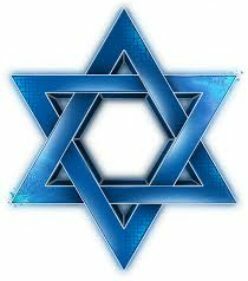 THE JEWISH PEOPLE GREW FROM SEVENTY PEOPLE TO A POPULATION OF SOME THREE MILLION. AND THESE THREE MILLION JEWS WANTED OUT OF EGYPT, AND OUT OF SLAVERY. AND GOD DID JUST THAT CHOOSING MOSES WHOM HIS MOTHER HID FROM THE EGYPTIAN SLAUGHTER OF JEWISH BOYS. WHEN MOSES WAS THREE MONTHS OLD HIS MOTHER PUT HIM IN A BASKET AND SENT THE BASKET WITH THE BABY MOSES IN IT DOWN A RIVER. AND PHARAOH’S DAUGHTER WAS WASHING HERSELF IN THE RIVER AND SAW THE BASKET AND SENT HER SERVANT GIRL TO GET IT. AND MOSES BECAME THE SON OF PHARAOH’S DAUGHTER. SO IN MIDIAN ON MOUNT SINAI, GOD IN THE PERSON OF THE ANGEL OF GOD APPEARED TO MOSES IN A FLAME OF FIRE OUT OF THE MIDST OF A BUSH THAT BURNED BUT DID NOT CONSUME. SO IN HIS CURIOSITY, MOSES WENT TO THE BUSH, AND GOD CALLED TO MOSES OUT OF THE FLAME IN THE BUSH. AND GOD TOLD MOSES, DO NOT COME NEAR. TAKE OFF YOUR SANDALS FOR THE PLACE WHERE YOU STAND IS HOLY GROUND. AND GOD TOLD MOSES THAT HE WAS THE GOD OF HIS FATHER, THE GOD OF ABRAHAM, THE GOD OF ISAAC, AND THE GOD OF JACOB. AND MOSES HID HIS FACE FOR HE WAS AFRAID TO LOOK UPON GOD. AND THE LORD SAID TO MOSES, I HAVE SEEN THE AFFLICTION OF MY PEOPLE WHICH ARE IN EGYPT, AND I HAVE HEARD THEIR CRY BY REASON OF THEIR TASKMASTERS. FOR I KNOW THEIR SORROWS. AND I HAVE COME DOWN TO DELIVER THEM OUT OF THE HAND OF THE EGYPTIANS, AND BRING THEM INTO A GOOD LAND AND A LARGE LAND TO A LAND FLOWING WITH MILK AND HONEY TO THE PLACE OF THE CANAANITE, AND THE HITTITE, AND THE AMORITE, AND THE PERIZZITE, AND THE HIVITE, AND THE JEBUSITE. NOW THEREFORE, GOD SAID, BEHOLD, THE CRY OF THE CHILDREN OF ISRAEL HAS COME TO ME, AND I HAVE SEEN THE OPPRESSION BY WHICH THE EGYPTIANS OPPRESS THEM. COME NOW THEREFORE, THE LORD SAID, AND I WILL SEND YOU TO PHARAOH THAT YOU SHALL BRING FORTH MY PEOPLE THE CHILDREN OF ISRAEL OUT OF EGYPT. AND MOSES SAID TO GOD, WHO AM I THAT I SHOULD GO TO PHARAOH AND THAT I SHOULD BRING FORTH THE CHILDREN OF ISRAEL OUT OF EGYPT? AND GOD SAID, I WILL CERTAINLY BE WITH YOU AND THIS SHALL BE A SIGN TO YOU THAT I HAVE SENT YOU. WHEN YOU HAVE BROUGHT FORTH THE PEOPLE OUT OF EGYPT, YOU WILL SERVE GOD ON THIS MOUNTAIN. AND MOSES SAID TO GOD, WHEN I COME TO THE CHILDREN OF ISRAEL AND I SHALL SAY TO THEM, THE GOD OF YOUR FATHERS HAS SENT ME TO YOU, AND THEY SHALL SAY TO ME, WHAT IS HIS NAME? WHAT SHALL I SAY TO THEM? AND GOD SAID TO MOSES, I AM THAT I AM. AND GOD SAID, THUS SHALL YOU SAY TO THE CHILDREN OF ISRAEL, I AM HAS SENT ME TO YOU. AND GOD SAID TO MOSES, THUS SHALL YOU SAY TO THE CHILDREN OF ISRAEL, THE LORD GOD OF YOUR FATHERS, THE GOD OF ABRAHAM, THE GOD OF ISAAC, AND THE GOD OF JACOB HAS SENT ME TO YOU. THIS IS MY NAME FOREVER, AND THIS IS HOW I AM TO BE REMEMBERED TO ALL GENERATIONS. GO AND GATHER THE ELDERS OF ISRAEL TOGETHER AND SAY TO THEM, THE LORD GOD OF YOUR FATHERS, THE GOD OF ABRAHAM, OF ISAAC, AND OF JACOB HAS APPEARED TO ME SAYING, I HAVE SURELY VISITED YOU, AND SEEN THAT WHICH IS DONE TO YOU IN EGYPT. AND I HAVE SAID, I WILL BRING YOU UP OUT OF THE AFFLICTION OF EGYPT TO THE LAND OF THE CANAANITE, AND THE HITTITE, AND THE AMORITE, AND THE PERIZZITE, AND THE HIVITE, AND THE JEBUSITE TO A LAND FLOWING WITH MILK AND HONEY. AND THEY WILL LISTEN TO YOUR VOICE, AND YOU SHALL COME, YOU AND THE ELDERS OF ISRAEL TO THE KING OF EGYPT. AND YOU SHALL SAY TO HIM, THE LORD GOD OF THE HEBREWS HAS MET WITH US, AND NOW LET US GO, WE BESEECH YOU, THREE DAYS JOURNEY INTO THE WILDERNESS THAT WE MAY SACRIFICE TO THE LORD OUR GOD. AND I AM SURE THAT THE KING OF EGYPT WILL NOT LET YOU GO. NO, NOT BY A MIGHTY HAND. AND I WILL STRETCH OUT MY HAND AND STRIKE EGYPT WITH ALL MY WONDERS THAT I WILL DO IN THE MIDST OF IT, AND AFTER THAT, HE WILL LET YOU GO. AND I WILL GIVE THE PEOPLE FAVOR IN THE SIGHT OF THE EGYPTIANS, AND IT SHALL BE THAT WHEN YOU GO, YOU WILL NOT GO EMPTY. BUT EVERY WOMAN SHALL ASK OF HER NEIGHBOR, AND FROM THE STRANGER IN HER HOUSE, JEWELS OF SILVER, AND JEWELS OF GOLD, AND GARMENTS, AND YOU SHALL PUT THEM UPON YOUR SONS, AND UPON YOUR DAUGHTERS, AND YOU SHALL STRIP EGYPT. BUT MOSES ARGUED WITH GOD. THE PEOPLE WILL NOT BELIEVE ME, NOR WILL THEY LISTEN TO ME, FOR THEY WILL SAY, THE LORD HAS NOT APPEARED TO YOU. AND THE LORD SAID, WHAT IS THAT IN YOUR HAND? AND MOSES SAID, A ROD. AND GOD SAID, TOSS IT ON THE GROUND. AND MOSES TOSSED IT ON THE GROUND AND IT BECAME A SNAKE. AND MOSES FLED FROM BEFORE IT. AND GOD SAID, TAKE IT BY THE TAIL. AND MOSES TOOK IT BY ITS TAIL AND IT BECAME A ROD IN HIS HAND. THE REST IS FULFILLMENT OF GOD’S PROPHESY TO ABRAHAM. GOD DESTROYED EGYPT BY TURNING THE WATERS TO BLOOD, SENDING PLAGUES OF FROGS, AND LICE, AND FLIES, UPON EGYPT. AND GOD KILLED THE EGYPTIAN CATTLE, AND PUT BOILS AND ERUPTIONS ON THE EGYPTIANS. AND GOD SENT HAIL AND FIRE, AND LOCUSTS, AND THREE DAYS OF DARKNESS UPON THE EGYPTIANS THAT COULD BE FELT. AND THE LAST AND FINAL PLAGUE, GOD KILLED THE FIRSTBORN EGYPTIANS. AND ON THE EVENING OF THE FOURTEENTH DAY OF THE FIRST HEBREW MONTH, GOD ESTABLISHED THE FIRST PASSOVER. GOD HAD EACH JEWISH HOUSEHOLD KILL A LAMB AND STRIKE ITS BLOOD ON THE UPPER DOOR POST, AND TWO SIDE POSTS OF THEIR HOUSES. AND WHEN GOD CAME THROUGH EGYPT TO KILL THE FIRSTBORN EGYPTIANS, GOD WOULD SEE THE BLOOD OF THE LAMB ON THE DOORPOSTS. AND GOD PASSED OVER THEIR HOUSES AND SAVED THEM ALIVE FOR THEIR DELIVERANCE OUT OF EGYPT TO THE PROMISED LAND CANAAN TO BE CALLED THE LAND OF ISRAEL, A LAND FLOWING WITH MILK AND HONEY, THE MOST BEAUTIFUL LAND ON EARTH. GOD’S PROPHESY TO ABRAHAM WAS COMPLETE AND FULFILLED. BUT BEFORE ANSWERING THE QUESTION, WHY DID THE LORD GOD GIVE THE JEWISH PEOPLE PASSOVER, I’D LIKE TO SPEND A MOMENT ON WHY GOD EXILED THE JEWISH PEOPLE OUT OF ISRAEL YEARS AFTER THEY ARRIVED. GOD SENT ISRAEL INTO EXILE THREE TIMES. FIRST TO ASSYRIA IN 722 B.C.E./B.C., AND THEN TO BABYLON IN 586 B.C.E./B.C. BOTH TIMES BECAUSE THE JEWISH PEOPLE SINNED AGAINST THE LORD THEIR GOD, THE HOLY ONE OF ISRAEL BY DISOBEYING HIS SPOKEN WORD. AFTER WARNING AFTER WARNING AFTER WARNING FROM GOD’S PROPHETS, GOD EXILED HIS PEOPLE OUT OF THEIR LAND. BUT GOD BROUGHT THEM BACK TO ISRAEL AGAIN IN 516 B.C.E./B.C. AND GOD EXILED HIS JEWISH PEOPLE OUT OF ISRAEL A THIRD TIME IN 70 C.E./A.D. WHEN THE ROMANS DESTROYED JERUSALEM AND THE SECOND TEMPLE. NOT TO RETURN TO ISRAEL UNTIL AFTER THE SECOND WORLD WAR ENDED IN 1945, 2,000 YEARS LATER. THERE WAS ALWAYS A PRESENCE OF JEWISH PEOPLE IN ISRAEL DURING THE EXILES. DURING THE EXILE OF 70 C.E./A.D., THE ROMANS RENAMED ISRAEL, PALESTINE IN 135 C.E./A.D..
GOD’S EXILE OF THE JEWISH PEOPLE FROM ISRAEL IN 70 C.E./A.D. WAS NOT ONLY BECAUSE THE JEWISH PEOPLE DISOBEYED THE LORD THEIR GOD, THEY ALSO REJECTED THEIR GOD AND MESSIAH, YESHUA HAMASHIAKH. AND FOR THOSE REASONS, GOD CAST HIS PEOPLE OUT OF THEIR LAND FOR ALMOST 2,000 YEARS. GOD BROUGHT MILLIONS OF JEWS TO THE LAND OF ISRAEL AFTER THE WAR. AND IN 1948 WHEN THE UNITED NATIONS DECIDED TO ALLOW THE JEWISH PEOPLE TO HAVE THEIR OWN HOMELAND IN ISRAEL THAT GOD HAS GIVEN US FOR AN EVERLASTING POSSESSION, PALESTINE WAS DIVIDED. THE ONE HALF WAS GIVEN TO THE ARABS WHO CALL THEMSELVES PALESTINIANS, AND THE OTHER HALF TO THE JEWS, WHO RENAMED THEIR LAND, THE LAND OF ISRAEL. AND TODAY, AFTER MANY WARS, ISRAEL IS UNDER JEWISH CONTROL. AND GOD PROMISES TO BRING HIS JEWISH PEOPLE AND ALL WHO OBEY HIS SPOKEN WORD TO THE LAND OF ISRAEL WHEN THE JEWISH MESSIAH YESHUA RETURNS AND ESTABLISHES HIS MESSIANIC KINGDOM IN ISRAEL FOR 1,000 YEARS WHERE MESSIAH WILL REIGN IN JERUSALEM. OKAY, SO WHY DID THE LORD GOD GIVE THE JEWISH PEOPLE PASSOVER? UNLIKE THE THREE EXILES BECAUSE OF JEWISH SIN, DISOBEYING GOD, THE LORD SENT JACOB AND HIS JEWISH FAMILY OF 70 TO EGYPT FOR THE REASONS GOD CREATED PASSOVER FOR THE JEWISH PEOPLE. DURING 400 YEARS OF EGYPTIAN SLAVERY, GOD MADE OF ABRAHAM A GREAT NATION FROM 70 JEWISH PEOPLE TO 3 MILLION JEWISH PEOPLE. AT THE CONCLUSION OF 400 YEARS OF SLAVERY, GOD ESTABLISHED HIS FIRST PASSOVER TO DELIVER HIS PEOPLE OUT OF EGYPT. BUT NOW WITH A MIGHTY JEWISH ARMY TO CONQUER CANAAN, WITH GOD’S GREAT HELP, THAT BECAME THE JEWISH HOMELAND, THE LAND OF ISRAEL. AND DURING THOSE FORTY YEARS IN THE WILDERNESS FROM EGYPT TO CANAAN, GOD TAUGHT HIS PEOPLE HOW TO BE HOLY BY OBEYING HIS SPOKEN WORD CALLED THE LAW OF MOSES. AND HAVING ATONEMENT FOR THEIR SINS FOR A GOOD AND HEALTHY LIFE ON EARTH, AND ETERNAL LIFE IN THE KINGDOM OF GOD IN ISRAEL, FOLLOWED BY ETERNAL LIFE IN HEAVEN. AND 2,000 YEARS AGO GOD ALMIGHTY, AS A HUMAN BEING IN THE PERSON OF MESSIAH YESHUA, GAVE HIS LIFE AND SHED HIS BLOOD IN JERUSALEM ON THE FIRST DAY OF PASSOVER TO BE YOUR ATONEMENT TO DELIVER YOU, AND GIVE YOU FREEDOM FROM YOUR SINS. Our teaching from Torah, The Law of Moses will continue in Deuteronomy 18.9-14. AND THE TITLE OF OUR MESSAGE IS, WHAT IS THE BEAUTY OF HOLINESS? So with that said, let’s read Deuteronomy 18.9-14. THE BIBLE THAT HAS THE SPOKEN WORD OF GOD WRITTEN IN IT IS FOR ALL MANKIND THROUGHOUT THE WORLD, FOR GOD IS THE CREATOR OF THE WORLD AND ALL THE PEOPLE IN IT. THEREFORE IN THESE VERSES OF DEUTERONOMY 18.9-14, GOD ALMIGHTY TEACHES THE JEWISH PEOPLE AND ALL HUMANITY THAT MAGIC, AND WIZARDS, AND OTHER MAGIC STUFF IS AN ABOMINATION. YOU SHALL NOT LEARN TO DO AFTER THE ABOMINATIONS OF THOSE CANAANITE NATIONS. GOD HAS ONLY ONE LAW. HIS WORD WRITTEN IN THE BIBLE. AND WE ARE TEACHING GOD’S LAW RIGHT NOW. LET’S LOOK BACK INTO JEWISH HISTORY. IT IS WRITTEN IN DEUTERONOMY 7.6-8 THAT GOD CHOSE THE JEWISH PEOPLE TO BE A HOLY PEOPLE, SPECIAL TO HIMSELF ABOVE ALL PEOPLE THAT ARE UPON THE FACE OF THE EARTH BECAUSE THE LORD LOVED THE JEWISH PEOPLE. BUT THAT WAS NOT WHEN GOD FIRST CHOSE THE JEWISH PEOPLE TO BE HIS CHOSEN PEOPLE. SOME 721 YEARS EARLIER, GOD CALLED ABRAHAM OUT FROM THE GENTILES TO BE THE GOD OF ABRAHAM AND THE GOD OF THE JEWISH PEOPLE. ABRAHAM WAS CALLED ABRAM WHEN HE WAS BORN IN UR OF THE CHALDEES THAT WOULD BE IN CURRENT DAY IRAQ NEAR THE PERSIAN GULF. THERE IN UR OF THE CHALDEES ABRAM MARRIED SARAI WHOSE NAMES GOD CHANGED AT A LATER TIME TO ABRAHAM, MEANING A FATHER OF MANY NATIONS, AND SARAH, MEANING PRINCESS. FROM UR OF THE CHALDEES, ABRAHAM’S FATHER TOOK HIM AND HIS WIFE SARAH, AND ABRAHAM’S NEPHEW LOT, AND THEY LEFT FOR THE LAND OF CANAAN. BUT FIRST THEY CAME TO A PLACE CALLED HARAN THAT WOULD BE IN CURRENT DAY NORTHERN IRAQ. AND THERE THEY STAYED FOR AWHILE. NOW IN HARAN, THE LORD GOD SPOKE TO ABRAHAM. WHETHER FACE TO FACE, OR GOD SPOKE TO ABRAHAM IN HIS MIND, I DON’T KNOW. BUT GOD SAID TO ABRAHAM, GET OUT OF YOUR COUNTRY, AND FROM YOUR FAMILY, AND FROM YOUR FATHER’S HOUSE TO A LAND THAT I WILL SHOW YOU. THAT LAND WAS THE LAND OF CANAAN, THE PROMISED LAND THAT GOD WOULD LATER GIVE TO THE JEWISH PEOPLE FOR AN EVERLASTING POSSESSION TO BE CALLED THE LAND OF ISRAEL. AND GOD SAID TO ABRAHAM, I WILL MAKE OF YOU A GREAT NATION, AND I WILL BLESS YOU, AND MAKE YOUR NAME GREAT, AND YOU SHALL BE A BLESSING. AND I WILL BLESS THEM THAT BLESS YOU, AND CURSE HIM WHO CURSES YOU. AND IN YOU SHALL ALL THE FAMILIES OF THE EARTH BE BLESSED. SO ABRAHAM LEFT HARAN AS THE LORD SAID, AND HE TOOK HIS WIFE SARAH, AND HIS NEPHEW LOT AND THEY WENT INTO THE LAND OF CANAAN. ABRAHAM WAS SEVENTY FIVE YEARS OLD AT THE TIME. TWENTY FOUR YEARS LATER WHEN ABRAHAM WAS 99 YEARS OLD, THE LORD APPEARED TO ABRAHAM, AND GOD SAID TO HIM, I AM THE ALMIGHTY GOD. WALK BEFORE ME AND BE PERFECT. BEING PERFECT WITH GOD IS DOING WHAT GOD SAYS, OBEYING EVERY WORD GOD SPEAKS. TODAY BEING PERFECT WITH GOD IS LIVING YOUR LIFE ACCORDING TO EVERY WORD GOD SPEAKS IN THE BIBLE. THAT IS THE BEAUTY OF HOLINESS. AND GOD SAID TO ABRAHAM, I WILL MAKE MY COVENANT BETWEEN ME AND YOU, AND I WILL MULTIPLY YOUR DESCENDANTS EXCEEDINGLY. AND ABRAHAM FELL ON HIS FACE, AND GOD TALKED TO HIM. GOD’S COVENANT IS GOD’S SPOKEN WORD IN THE BIBLE THAT IS LAW FOREVER. AND GOD ALSO SAID TO ABRAHAM, YOU SHALL BE A FATHER OF MANY NATIONS, AND YOUR NAME SHALL NO LONGER BE ABRAM, BUT YOUR NAME SHALL BE ABRAHAM FOR I HAVE MADE YOU A FATHER OF MANY NATIONS. AND I WILL MAKE YOU EXCEEDING FRUITFUL, AND I WILL MAKE NATIONS OF YOU, AND KINGS SHALL COME OUT OF YOU. AND I WILL ESTABLISH MY COVENANT BETWEEN ME AND YOU AND YOUR DESCENDANTS FOR AN EVERLASTING COVENANT TO BE THE GOD OF ABRAHAM AND HIS DESCENDANTS AFTER HIM. AFTER ISAAC WAS BORN TO ABRAHAM AND SARAH, GOD SAID TO ABRAHAM, FOR IN ISAAC SHALL YOUR DESCENDANTS BE CALLED. THAT IS TO SAY, THE DESCENDANTS OF ISAAC, HIS SON JACOB, AND JACOB’S TWELVE SONS, AND THEIR DESCENDANTS AFTER THEM MAKE UP THE JEWISH PEOPLE, THE CHILDREN OF ISRAEL. AND GOD SAID TO ABRAHAM, I WILL GIVE TO YOU AND TO YOUR DESCENDANTS AFTER YOU THE LAND WHERE YOU ARE A STRANGER, ALL THE LAND OF CANAAN FOR AN EVERLASTING POSSESSION, AND I WILL BE THEIR GOD. ABRAHAM AND HIS FAMILY AT THE TIME WERE LIVING IN THE LAND OF CANAAN THAT YEARS LATER BECAME THE LAND OF ISRAEL. THE POINT I’M MAKING HERE IS THIS. WHEN GOD TOOK ABRAHAM OUT FROM THE GENTILES TO BE THE FATHER OF THE JEWISH PEOPLE, GOD CHOSE THE JEWISH PEOPLE TO BE HIS CHOSEN PEOPLE. AND IT IS GOD WHO TEACHES THE JEWISH PEOPLE HOW TO BE HOLY BY OBEYING EVERY WORD GOD SPEAKS IN THE BIBLE. AND GOD ESTABLISHED HIS EVERLASTING COVENANT WITH THE JEWISH PEOPLE. GOD’S EVERLASTING COVENANT IS VERY IMPORTANT TO UNDERSTAND. GOD’S EVERLASTING COVENANT IS HIS WORD THAT IS LAW FOREVER. AGAIN, GOD’S EVERLASTING COVENANT IS HIS WORD THAT IS LAW FOREVER. AND GOD REQUIRES ALL MANKIND, JEWISH PEOPLE AND NON JEWISH PEOPLE TO OBEY HIS EVERLASTING COVENANT, HIS WORD THAT IS LAW FOREVER. FOR THAT IS BEING HOLY TO THE LORD YOUR GOD. GOD HAS ONLY ONE LAW FOR ALL MANKIND. HIS SPOKEN WORD WRITTEN IN THE BIBLE. AT HIS PASSOVER SEDER, THE LAST SUPPER, MESSIAH YESHUA, WHO IS GOD ALMIGHTY, TOOK MATZAH AND BLESSED IT, AND BROKE IT, AND GAVE IT TO HIS JEWISH DISCIPLES AND SAID, TAKE, EAT. THIS IS MY BODY. AND HE TOOK THE CUP, AND GAVE THANKS, AND GAVE IT TO THEM, SAYING, DRINK ALL OF IT, FOR THIS IS THE BLOOD OF THE NEW COVENANT WHICH IS SHED FOR MANY FOR THE FORGIVENESS OF SINS. GOD ALMIGHTY THE FATHER, HA SHEM IN THE PERSON OF MESSIAH YESHUA IS OUR ATONEMENT. THAT IS LAW. EVERY WORD MESSIAH YESHUA SPEAKS THAT IS WRITTEN IN THE BIBLE IS THE SPOKEN WORD OF GOD BECAUSE MESSIAH YESHUA IS GOD ALMIGHTY THE FATHER, THE SON, THE SPIRIT, THE HOLY SPIRIT, MELCHIZEDEK, THE GLORY OF GOD, HA SHEM, AND SO MUCH MORE. WHEN YOU ARE HOLY TO THE LORD YOUR GOD, CHOSEN TO BE SPECIAL TO HIMSELF ABOVE ALL PEOPLE UPON THE FACE OF THE EARTH, AND LOVED BY GOD BECAUSE YOU ARE OBEDIENT TO EVERY WORD GOD SPEAKS IN THE BIBLE FROM GENESIS THROUGH REVELATION THAT INCLUDES THE LAW OF MOSES, AND YOU HAVE FAITH IN MESSIAH YESHUA FOR YOUR ATONEMENT, THAT IS THE BEAUTY OF HOLINESS. GOD APPOINTED THE JEWISH PEOPLE TO RECORD EVERY WORD THAT HE SPOKE TO THEM AND OTHERS. AND IT IS THE JEWISH PEOPLE WHO WROTE THE BIBLE FROM GENESIS THROUGH REVELATION RECORDING THE WORDS THAT GOD TEACHES ALL PEOPLES, JEWISH AND NON JEWISH PEOPLE HOW TO BE HOLY UNTO THE LORD YOUR GOD. AND HOLINESS TO THE LORD IS LIVING YOUR LIFE BY EVERY WORD THAT GOD SPEAKS IN THE BIBLE THAT INCLUDES THE LAW OF MOSES. AND THEN YOU WILL BE A TRUE WITNESS FOR THE LORD YOUR GOD, AND A SERVANT WHOM GOD HAS CHOSEN. THE JEWISH PEOPLE WERE SLAVES IN EGYPT FOR 400 YEARS BEFORE GOD CHOSE MOSES TO BRING THEM OUT AND LEAD THEM TO THE PROMISED LAND CANAAN THAT GOD GAVE TO THE JEWISH PEOPLE FOR AN EVERLASTING POSSESSION THAT WAS RENAMED THE LAND OF ISRAEL. AND IN EGYPT, GOD MADE OF ABRAHAM A GREAT NATION. WHEN GOD BROUGHT THE CHILDREN OF ISRAEL TO THE DOOR STEP OF CANAAN, THE LORD CONTINUED TEACHING HIS CHOSEN PEOPLE THROUGH HIS PROPHET MOSES HOW TO BE A HOLY PEOPLE, SPECIAL TO GOD ABOVE ALL THE PEOPLE THAT ARE UPON THE FACE OF THE EARTH. TO BE HOLY TO THE LORD YOUR GOD, AND SPECIAL ABOVE ALL PEOPLE, AND LOVED BY GOD, ALL PEOPLE, JEWISH AND NON JEWISH PEOPLE MUST LEARN THE LAW OF MOSES FROM THE BIBLE, AND LIVE BY EVERY WORD OF THE LAW OF MOSES, AND EVERY WORD GOD SPEAKS IN THE BIBLE FROM GENESIS THROUGH REVELATION. THE LAW OF MOSES DOES NOT CONTAIN LAWS MADE BY MOSES. THE LAW OF MOSES CONTAINS ONLY LAWS THAT GOD MADE FOR THE WORLD TO OBEY IN ORDER TO BE HOLY UNTO THE LORD, THE GOD OF CREATION. TO EXPERIENCE THE BEAUTY OF HOLINESS. WHILE SLAVES IN EGYPT, I’M SURE THAT THE CHILDREN OF ISRAEL HAD SOME UNDERSTANDING ON HOW TO BE HOLY BY WORD OF MOUTH. FROM GENERATION TO GENERATION THE CHILDREN OF ISRAEL LEARNED ABOUT GOD AND THEIR FATHERS ABRAHAM, ISAAC, AND JACOB. BUT THE CHILDREN OF ISRAEL LIVED IN PAGAN EGYPT THAT BELIEVED IN HUNDREDS OF gods. AND THE CANAANITE PEOPLE WERE THE SAME HAVING ZERO KNOWLEDGE OF GOD, DOING ABOMINATIONS THAT GOD HATED. THEREFORE DURING THEIR FORTY YEARS IN THE WILDERNESS, FROM SLAVERY IN EGYPT TO THE PROMISED LAND CANAAN, GOD TAUGHT HIS PEOPLE HOW TO BE HOLY AND SPECIAL AND LOVED, TO LIVE IN THE BEAUTY OF HOLINESS BY TEACHING THEM TORAH, THE LAW OF MOSES TO OBEY AND DO. AND IN THESE SCRIPTURES, DEUTERONOMY 18.9-14, GOD TAUGHT THE CHILDREN OF ISRAEL AND THE WORLD THAT MAGIC AND OTHER PAGAN STUFF IS AN ABOMINATION TO GOD. AND GOD WARNS THE JEWISH PEOPLE AND THE WORLD, DO NOT LEARN THE PRACTICES OF THE CANAANITES BECAUSE ALL THOSE THINGS ARE AN ABOMINATION TO THE LORD YOUR GOD, AND GOD HAS NOT APPOINTED YOU TO DO THOSE ABOMINATIONS. GOD’S LOVE IS CONDITIONAL UPON YOU BEING HOLY, LIVING YOUR LIFE IN OBEDIENCE TO EVERY WORD GOD SPEAKS IN THE BIBLE FROM GENESIS THROUGH REVELATION THAT INCLUDES THE LAW OF MOSES WRITTEN IN THE FIRST FIVE BOOKS OF THE BIBLE. FOR GOD SAYS, YOU SHALL BE HOLY, FOR I THE LORD YOUR GOD AM HOLY. THAT IS SALVATION, AND THAT IS THE BEAUTY HOLINESS. GOD IS HOLY BECAUSE GOD LIVES BY EVERY WORD HE SPEAKS IN THE BIBLE. AND THAT IS WHAT GOD REQUIRES OF YOU AND ME. BY DOING NO SIN, MESSIAH YESHUA, GOD ALMIGHTY LIVED BY TORAH, THE LAW OF MOSES. GOD DOES NOT SIN BECAUSE HE LIVES HIS LIFE ACCORDING TO TORAH, HIS LAW OF MOSES. DEUTERONOMY 18.9 WHEN YOU COME INTO THE LAND WHICH THE LORD YOUR GOD GIVES YOU, YOU SHALL NOT LEARN TO DO AFTER THE ABOMINATIONS OF THOSE NATIONS. ABOMINATIONS IN HEBREW IS TOW’AH’VOTE THAT MEANS WHAT THOSE NATIONS DO ARE AN ABOMINATION, HATEFUL, DISGUSTING, ABHORRENT, AND IDOLATRY. IT IS GOD WHO TAUGHT AND TEACHES THE CHILDREN OF ISRAEL AND ALL PEOPLES THAT HOLINESS IS DOING ALL THAT GOD SAYS. LIVING BY EVERY WORD GOD SPEAKS IN THE BIBLE. NOT DOING MAGIC IS PART OF GOD’S HOLINESS. YOU SHALL NOT LEARN TO DO AFTER THE ABOMINATIONS OF THOSE NATIONS. REMEMBER, BEING HOLY IS OBEYING GOD, LIVING BY EVERY WORD GOD SPEAKS IN THE BIBLE FROM GENESIS THROUGH REVELATION THAT INCLUDES THE LAW OF MOSES. THEN YOU WILL EXPERIENCE THE BEAUTY OF HOLINESS. AND THE LORD YOUR GOD WILL GIVE YOU HIS HOLY SPIRIT. BUT HOLINESS HAS A WHOLE LOT OF ENEMIES WHO WILL TELL YOU THAT THE LAW OF MOSES IS ABOLISHED. AND THAT IS A LIE. DEUTERONOMY 18.10-12 THERE SHALL NOT BE FOUND AMONG YOU ANY ONE THAT MAKES HIS SON OR HIS DAUGHTER TO PASS THROUGH THE FIRE, OR THAT USES DIVINATION, OR AN OBSERVER OF TIMES, OR AN ENCHANTER, OR A WITCH, OR A CHARMER, OR A CONSULTER WITH FAMILIAR SPIRITS, OR A WIZARD, OR A NECROMANCER. FOR ALL THAT DO THESE THINGS ARE AN ABOMINATION TO THE LORD. AND BECAUSE OF THESE ABOMINATIONS, THE LORD YOUR GOD DOES DRIVE THEM OUT FROM BEFORE YOU. PASSING THEIR SON OR DAUGHTER THROUGH FIRE IS BEYOND AN ABOMINATION. AND GOD REFUSED TO ALLOW HIS HOLY PEOPLE TO LIVE IN THE SAME LAND WITH THEM. THEREFORE GOD COMMANDED THE CHILDREN OF ISRAEL TO KILL THE CANAANITES BECAUSE OF THEIR ABOMINATIONS. DIVINATION IS WITCHCRAFT, THE USE OF MAGIC, AND SORCERY, THE PRACTICE OF SEEKING TO FORETELL FUTURE EVENTS BY DEMONIC POWER. AN OBSERVER OF TIMES PRACTICES MAGIC SEEKING TO INFLUENCE THE COURSE OF EVENTS BY USING DEMONIC SPIRITS, WITCHCRAFT, AND CONSULTING WITH DEMONS AND THE DEAD. AN ENCHANTER PRACTICES MAGIC SPELLS. A WITCH USES SORCERY WHICH IS MAGIC USING THE POWER OF EVIL SPIRITS AND DEMONS. A CHARMER IS A MEDIUM CHANNELING THEIR EVIL BY CONSULTING WITH DEMONS. A CONSULTER OF FAMILIAR SPIRITS CONSULTS WITH THE DEAD, WITH DEMONS, AND WITH EVIL SPIRITS. A WIZARD PRACTICES MAGIC ARTS. THEY ARE SORCERERS DEALING WITH EVIL SPIRITS. A NECROMANCER CONSULTS WITH THE DEAD. DEUTERONOMY 18.13 YOU SHALL BE PERFECT WITH THE LORD YOUR GOD. BEING PERFECT WITH THE LORD YOUR GOD IS BEING HOLY TO THE LORD YOUR GOD BY LIVING YOUR LIFE IN OBEDIENCE TO GOD. OBEYING EVERY WORD GOD SPEAKS IN THE BIBLE WHICH IS NOT DIFFICULT. AND WHEN YOU MESS UP, CONFESS YOUR SIN TO GOD, AND THE LORD YOUR GOD WILL FORGIVE YOU YOUR SIN. DEUTERONOMY 18.14 FOR THESE NATIONS WHICH YOU WILL POSSESS LISTENED TO, AND DID WHAT OBSERVERS OF TIMES, AND DIVINERS TOLD THEM TO DO. BUT AS FOR YOU, THE LORD YOUR GOD DOES NOT ALLOW YOU TO DO THESE THINGS. BY NOT DOING THE THINGS GOD COMMANDS YOU NOT TO DO, AND DOING THE THINGS GOD COMMANDS YOU TO DO IS LEADING A HOLY LIFE. SO WHAT IS THE BEAUTY OF HOLINESS? THE BEAUTY OF HOLINESS IS LIVING YOUR LIFE BY EVERY WORD GOD SPEAKS IN THE BIBLE THAT INCLUDES EVERY WORD GOD SPEAKS IN THE LAW OF MOSES, AND HAVING FAITH IN MESSIAH YESHUA WHO IS GOD ALMIGHTY FOR YOUR ATONEMENT. THAT IS THE BEAUTY OF HOLINESS. AND YOU WILL EXPERIENCE THE BEAUTY OF HOLINESS IN YOUR OBEDIENCE TO THE LORD YOUR GOD WITH A GOOD AND HEALTHY LIFE HERE ON EARTH, AND ETERNAL LIFE IN HEAVEN. THAT IS SALVATION, AND THAT IS THE GOSPEL. Posted on April 14, 2019 April 15, 2019 Categories Shabbat MessageLeave a comment on WHAT IS THE BEAUTY OF HOLINESS? Our teaching will return to The Book of Deuteronomy from Deuteronomy 18.1-8. AND THE TITLE OF OUR MESSAGE IS, THE PRIESTS AND THE LEVITES ARE COMMANDED BY GOD TO TEACH TORAH, THE LAW OF MOSES, TO THE JEWISH PEOPLE. And with that said, let’s read Deuteronomy 18.1-8. DEUTERONOMY 18.1-4 THE PRIESTS, THE LEVITES, AND ALL THE TRIBE OF LEVI SHALL HAVE NO PART NOR INHERITANCE WITH ISRAEL. First of all, not all Levites are Priests, but all Priests are Levites. Priests must be males who descend from Aaron, The first High Priest. And The Priesthood is active only when there is a Temple standing in Jerusalem. But inactive when there is no Temple in Jerusalem. The Priests served The LORD in The Tabernacle and The First and Second Temples. No other person was allowed in The Sanctuary but The Priests. However Moses spent a great amount of time in The Tabernacle in the desert because GOD met with him and spoke with Moses Face to face from above The Cover of The Ark from between the two cherubim which were upon The Ark of The Covenant of everything GOD gave Moses in Commandment to The Children of Israel. And as GOD’S Witnesses, all that GOD Spoke to Moses, and The Children of Israel that is Written in The Law of Moses in the first five Books of The Bible is for all the world to obey and live by. However today, without a Temple in Jerusalem, the sacrificial system and The Priesthood have temporarily ended until The Temple is rebuilt in Jerusalem. The Priests minister to The LORD in The Sanctuary and Teach The Jewish People Torah, The Law of Moses. While The Levites attended to all the furniture and vessels in The Tabernacle and Temples and taught The People Torah, The Law of Moses when GOD brought The Jewish People into The Promised Land Canaan that became The Land of Israel. What does GOD mean when He says, The Tribe of Levi shall have no part nor inheritance with Israel? The LORD is their inheritance. It means that The Levites did not inherit any land in Israel as the other Tribes did when Joshua led The Children of Israel into Canaan some 3,400 years ago that The LORD gave to The Jewish People for an everlasting Possession. The inheritance The Levites received from GOD was The Priesthood forever. The Levites who were not Priests were assigned to the other Tribes throughout Israel to serve GOD, and Teach The People Torah, The Law of Moses. And they served as Judges. And they were given land for themselves and their families in all The Tribes throughout Israel where they Served GOD and Taught The People. And GOD required all the Tribes of Israel to provide The Levites with their every need by giving them tithes; Ten percent of their crops and their farm animals. While the bulk of their food came from the daily sacrifices made to The LORD. And those animals were perfect, without blemish. And it must be noted that The Levites devoted their lives to GOD. Let’s look at some Scriptures where GOD appointed The Priests and The Levites to Teach The Jewish People throughout Israel, Torah, that is The Law of Moses, and GOD’S Judgments, and Statutes. GOD’S Statutes are GOD’S Laws, Commandments, Festivals, and Sabbaths. LET’S LOOK AT EZEKIEL 44.1-2. THE EASTERN GATE IN THE OUTWARD SANCTUARY THAT IS SHUT TODAY AND NOT OPENED, AND NO MAN SHALL ENTER INTO IT, THE LORD SAYS, BECAUSE THE LORD, THE GOD OF ISRAEL ENTERED IN BY IT. THEREFORE IT IS SHUT. THE LORD, THE GOD OF ISRAEL WHO ENTERED INTO THAT GATE, THE EASTERN GATE 2,000 YEARS AGO WAS OUR MESSIAH YESHUA WHO IS THE LORD, THE GOD OF ISRAEL. Back to our study about The Levites. The Priests and not The Levites will Teach The People in The 1,000 year Messianic Kingdom on earth in Israel because The Levites, at some time in the past, went astray after idols. But GOD will allow The Levites to be ministers, serving GOD by having charge of The Gates of The Temple. And they will kill the burnt offerings and the sacrifice for The People. DEUTERONOMY 18.5 FOR THE LORD YOUR GOD HAS CHOSEN HIM (LEVI) OUT OF ALL YOUR TRIBES TO STAND TO MINISTER IN THE NAME OF THE LORD, HIM AND HIS SONS FOREVER. After the destruction of the Second Temple in 70 C.E. / A.D., and I do not know the exact year or time in Jewish history, Rabbis, on their own authority and not GOD’S authority, replaced The Levites as the official Torah Teachers to The Jewish People. According to The Oxford Edition of The Jewish Religion, virtually all religious functions and privileges, including tithes were removed from The Levites, and authority was given to The Rabbis who were students of Talmud, the oral law. However, and these are my words, GOD appointed The Levites to Teach Torah, The Law of Moses to The Jewish People. Let’s spend a moment or two on the fact that GOD appointed The Levites to Teach The Law of Moses to The Jewish People. Talmud is never taught in Torah. But it is Torah that The LORD requires to be taught to His People. Let’s move on from the Rabbis because The Rabbis are The Religious Leaders of Judaism today. GOD requires Torah to be taught to The Jewish People because GOD says to The Jewish People in Torah, For you are a Holy People unto The LORD Your GOD. The LORD Your GOD has Chosen you to be a Special People unto Himself above all people that are upon the face of the earth. The LORD did not set His Love upon You, nor choose You because You were more in number than any people, for You were the fewest of all people. But because The LORD Loved You, and because He would keep the Oath which He had Sworn unto Your fathers has The LORD brought you out with a Mighty Hand, and Redeemed You out of the house of bondmen from the hand of Pharaoh king of Egypt. Know therefore that The LORD Your GOD, He is GOD, The Faithful GOD Who Keeps Covenant and Mercy with Them that Love Him and Keep His Commandments to a thousand generations. That is forever. And repays them that hate Him to their face, to destroy them. He will not be slack to them that hate Him. He will repay them to their face. TO BE HOLY UNTO THE LORD YOUR GOD, AND SPECIAL UNTO HIMSELF ABOVE ALL PEOPLE THAT ARE UPON THE FACE OF THE EARTH, YOU MUST LIVE YOUR LIFE ACCORDING TO TORAH, THE LAW OF MOSES THAT HAS GOD’S LAWS, TEACHINGS, INSTRUCTIONS AND COMMANDMENTS WRITTEN IN IT. AND BY EVERY WORD THAT GOD SPEAKS IN THE BIBLE FROM GENESIS THROUGH REVELATION, HAVING FAITH IN MESSIAH YESHUA FOR YOUR ATONEMENT. THAT IS BEING A HOLY PERSON UNTO THE LORD YOUR GOD WHETHER YOU ARE JEWISH OR NOT. GOD’S Torah, His Law of Moses that never changes or ends is The Spoken Word of GOD, and The Foundation of Truth that must be Obeyed by all mankind. Read about the necessity of obeying GOD in the event with satan the snake and Adam and Eve in the Garden of Eden in Genesis 2.16-17 and Genesis Chapter 3. Adam and Eve were not Jewish. They were Gentiles. How can someone read The Bible, and for some to teach from The Bible, and believe the foolishness that Jesus abolished The Law of Moses, and supplanted The Old Testament? Don’t they realize that that teaching is hating GOD by rejecting every Word GOD Speaks in His Law of Moses, and Rejecting The Words that GOD Speaks in The Bible? However GOD will Bless Those Who Bless The Jewish People and Israel. That is also Salvation. DEUTERONOMY 18.6-8 AND IF A LEVITE COMES FROM ANY OF YOUR GATES OUT OF ALL ISRAEL WHERE HE SOJOURNED, AND COMES WITH ALL THE DESIRE OF HIS MIND TO THE PLACE WHICH THE LORD SHALL CHOOSE, THEN HE SHALL MINISTER IN THE NAME OF THE LORD HIS GOD AS ALL HIS BRETHREN THE LEVITES DO WHICH STAND THERE BEFORE THE LORD. THEY SHALL HAVE LIKE PORTIONS TO EAT IN ADDITION TO WHAT HE MAY RECEIVE FROM THE SALE OF HIS INHERITANCE THAT HE RECEIVED FROM HIS ANCESTORS. THESE ALL DIED IN FAITH, AND CONFESSED THAT THEY WERE STRANGERS AND PILGRIMS ON THE EARTH BUT DESIRE A BETTER COUNTRY. THAT COUNTRY IS HEAVEN. HEBREWS 11, AS YOU KNOW, IS THE FAITH CHAPTER. FAITH IN GOD IS BELIEVING GOD AND OBEYING HIM, AND HAVING FAITH IN THE LORD. OUR FAITH TODAY IS BELIEVING GOD BY OBEYING EVERY WORD GOD SPEAKS IN THE BIBLE INCLUDING THE LAW OF MOSES, AND HAVING FAITH IN THE LORD, AND HAVING FAITH IN MESSIAH YESHUA WHO IS THE LORD FOR OUR ATONEMENT. THOSE WRITTEN IN THIS CHAPTER WHO DIED IN FAITH OBEYING EVERY WORD GOD SPOKE WERE ABEL, ENOCH, NOAH (NON JEWS), ABRAHAM, SARAH, ISAAC, JACOB, JOSEPH, THE PARENTS OF MOSES, AND YEARS LATER MOSES HIMSELF, AND THE CHILDREN OF ISRAEL WHO BY FAITH PASSED THROUGH THE RED SEA ON DRY LAND, AND BY FAITH, THOSE WHO WALKED AROUND THE WALLS OF JERICHO THAT FELL DOWN, AND THE HARLOT RAHAB, AND GIDEON, AND BARAK, SAMSON, JEPHTHAH, DAVID, SAMUEL, THE PROPHETS, THE WOMEN WHO RECEIVED THEIR DEAD RAISED TO LIFE AGAIN, ALL OF WHOM THE WORLD WAS NOT WORTHY. ALL THESE HAVING OBTAINED A GOOD WITNESS THROUGH FAITH RECEIVED A BETTER COUNTRY. THAT BETTER COUNTRY IS HEAVEN. GOD COMMANDED THE PRIESTS AND THE LEVITES TO TEACH TORAH, THE LAW OF MOSES TO THE JEWISH PEOPLE TO LEARN AND OBEY BECAUSE GOD CHOSE THE JEWISH PEOPLE TO BE A HOLY PEOPLE UNTO HIMSELF, AND A SPECIAL PEOPLE ABOVE ALL PEOPLE THAT ARE UPON THE FACE OF THE EARTH, AND BECAUSE GOD LOVES HIS JEWISH PEOPLE. AND GOD CHOSE THE JEWISH PEOPLE TO BE HIS WITNESSES TO KNOW, BELIEVE, AND UNDERSTAND THAT GOD IS GOD AND THERE IS NO OTHER GOD BUT HIM. THEREFORE FOR YOU TO BE HOLY UNTO THE LORD YOUR GOD, WHETHER YOU ARE JEWISH OR NOT, AND SPECIAL TO THE LORD ABOVE ALL PEOPLE THAT ARE UPON THE FACE OF THE EARTH, AND LOVED BY GOD, AND TO BE A TRUE WITNESS FOR THE LORD YOUR GOD, THE LORD COMMANDS YOU TO OBEY HIS TORAH, HIS LAW OF MOSES, AND EVERY WORD GOD SPEAKS IN THE BIBLE, AND HAVE ATONEMENT THROUGH FAITH IN THE JEWISH MESSIAH YESHUA. THEN YOU WILL BE HOLY TO THE LORD, SPECIAL ABOVE ALL PEOPLE, AND LOVED BY GOD. AND YOU WILL INHERIT THAT HEAVENLY COUNTRY THAT IS HEAVEN. THAT IS THE GOSPEL, THE GOOD NEWS. Posted on April 7, 2019 April 9, 2019 Categories Shabbat MessageLeave a comment on THE PRIESTS AND THE LEVITES ARE COMMANDED BY GOD TO TEACH TORAH, THE LAW OF MOSES, TO THE JEWISH PEOPLE.